You can change the NS (name servers) for a domain purchased from SuperHosting.BG under "My profile" on SuperHosting.BG's website. To do this you need to log into your customer profile and then select the "Domain Management" menu. 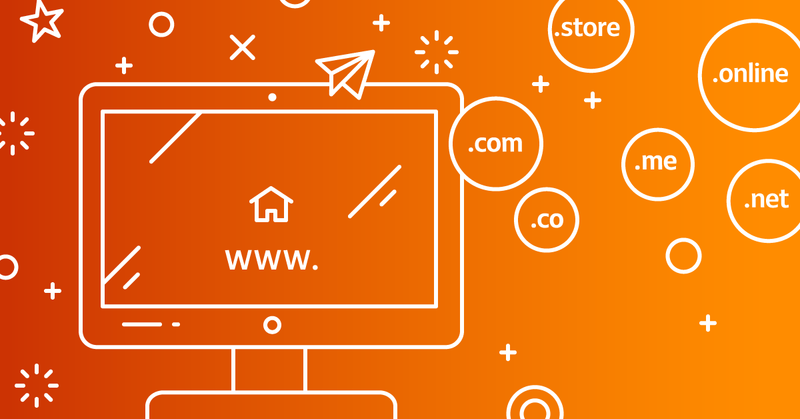 All domains registered with SuperHosting.BG will be displayed and next to each of them you will see an option for changing the Contact Information and DNS Settings. To modify the DNS settings, click Settings. Under "DNS settings" you have two options available – Set DNS servers (1) and DNS hosting (2). To modify these options click "Edit". Use this option for changing the domain name servers. 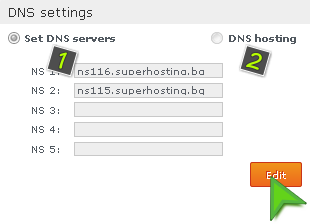 After selecting the "Set DNS servers" (1) option enter the Name servers and save your changes by clicking Save. You need to enter at least two name servers. If you are using SuperHosting.BG's name servers (nsxxx.superhosting.bg) and you want to change a certain DNS record, such as A, CNAME, SRV, TXT or others, you can do this in cPanel -> Advanced DNS Editor. Important: Please note that the standard propagation time for the new DNS information takes from 2 to 48 hours. If you do not have DNS servers, you can edit specific DNS records such as A, CNAME, SRV, TXT and others through the DNS hosting option (2).